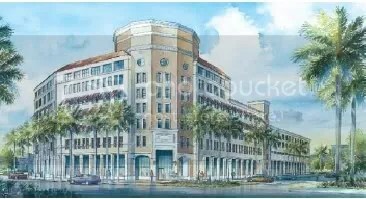 Developed by Robert Wennett, The proposed 1111 Lincoln Road mixed use development, located across the street from the Zyscovich-designed Lincoln Road Cinema (1100 Lincoln Rd. 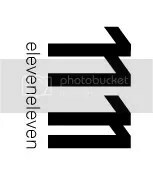 ), is sharply designed and unorthodoxly thought-out. 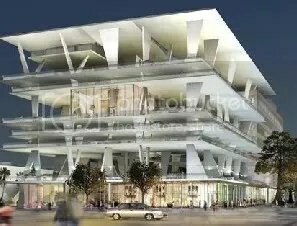 The project combines the architectural brilliance of two preeminent firms: Zyscovich, and Herzog & De Meuron (designing the planned Miami Art Museum and designers of the Allianz Arena in Munich and Beijing Olympic Stadium). The project will have 50,000 square feet of curated street-level retail space with 18-30ft high ceilings and a 300 space parking garage. Located at the west entrance to Lincoln Road, the site offers optimal visibility for its future tenants. 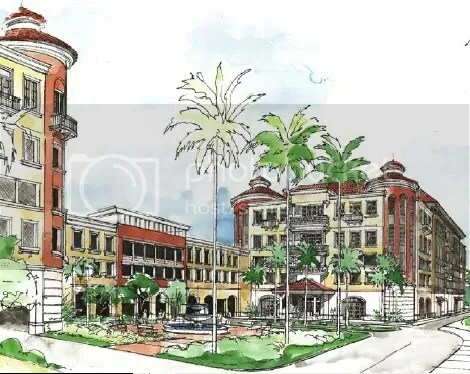 The project will include residences that are surrounded by Raymond Jungle landscaped courtyards. This standout project further solidifies Zyscovich’s leading role in innovative design in Miami Beach, introduces a world-class international architectural firm to the Beach, adds Class A commercial space to South Beach, and compliments the westward expansion of Lincoln road. New York-based Morgans Hotel Group, best known locally for the Delano and Shore Club hotels, is expanding its presence in South Beach. This time around, the venture is joint, involving local real estate development firm Sanctuary West Ave LLC. 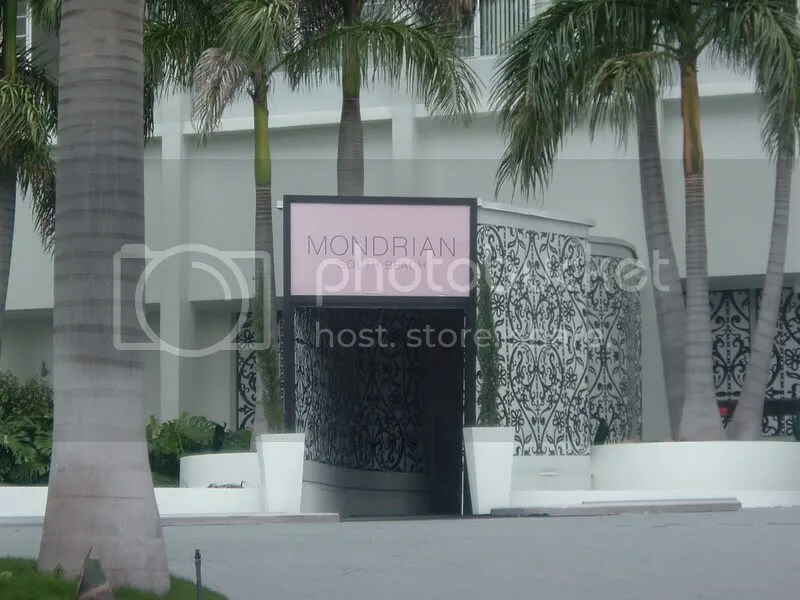 Mondrian South Beach will have a hotel component operated by MHG. The interior design is coming from the creative genius of Marcel Wanders who has conceived the hotel as being a “sleeping beauty castle” where guests will step into a “magical world”. Pretty intensely imaginative stuff. 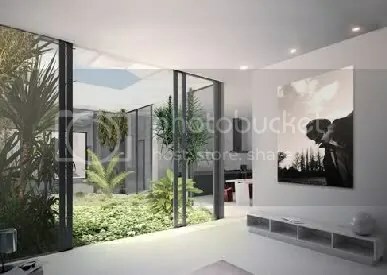 The website’s interior renderings are unprecedented in terms of design: possibly comparable to ICON South Beach in abstract and stark design. 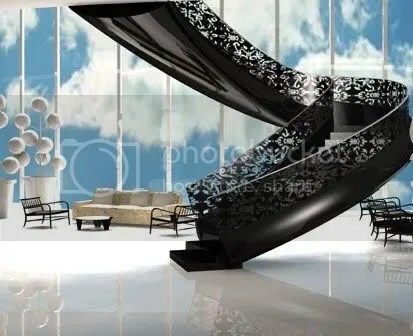 Image: Not sure if this is the lobby, but the black spiral staircase is out there. This project is interesting for a number of reasons. For one, it marks the expansion of Morgans Hotel Group in South Beach. MHG is known throughout the world as being on the cutting edge of the hospitality industry. One can expect ground breaking style and an exceptional class of amenities. 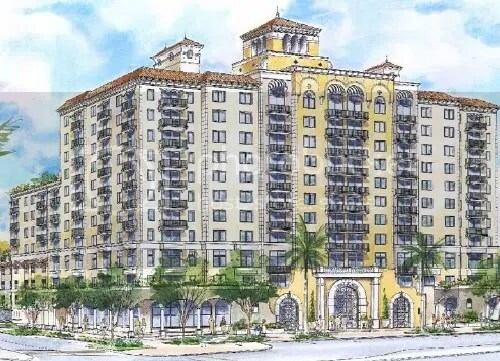 Second, it marks the first time MHG is venturing into the residential condo market locally. And, lastly, the placement of this development is telling. 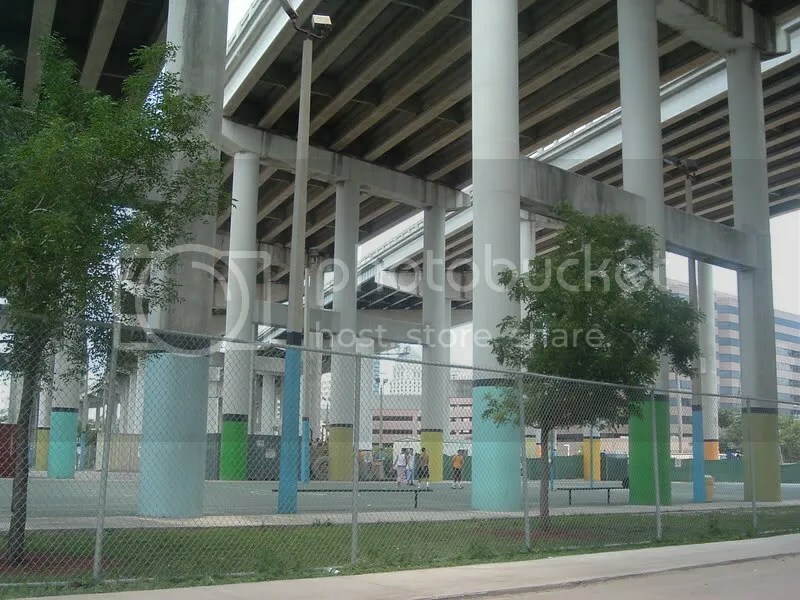 It is situated on West Avenue, away from the center of South Beach tourist activity in an area that has remained largely undeveloped but has seen some interesting developments over the last several years. The Mondrian will join the Flamingo, Waverly, Bentley, Vitri, and a few other smaller scale loft developments) as the new kids on the block. 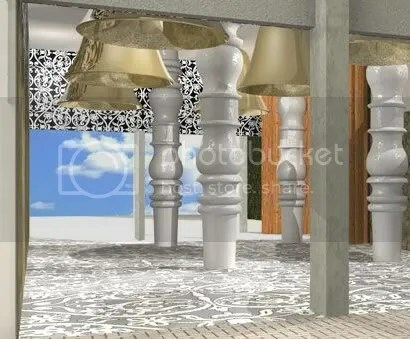 Image: Wonder if the bells will function. Meditative, I think not. This area west of Alton Road has not yet developed its own identity unlike the South of Fifth area. The reason behind the lag in development could be attributed to the high concentration large and older condos that are difficult and expensive to acquire and develop. Still there is some active and new retail complexes along the east side of West Avenue and the properties along the west side are on wet lots and have exceptional views. With a glut in condos, owners are turning to tourists for transient occupancy and some pretty hefty rental returns. Miami Habitat is one source for tourist rentals. 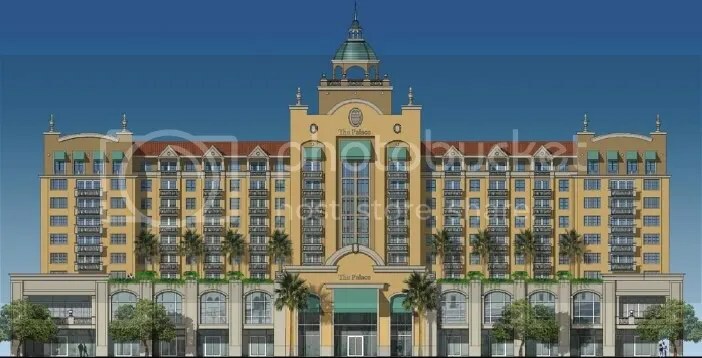 Options include Bentley on the Bay, the Flamingo, Icon, among others. Stays are usually for a minimum of a week. 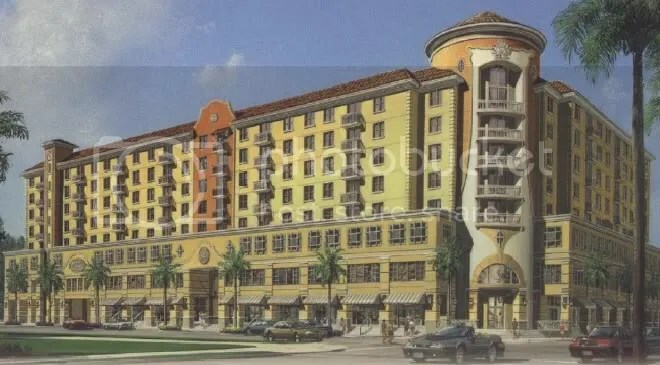 Another company offering the same service is Premier Vacation Rentals: offering condos in Fortune House, Pavilion, and numerous other properties on the Beach and in Miami. Many unit owners live in condominiums that do not have rental programs (hotel segments) and if a long term rental is hard to find, companies like Miami Habitat can attract high paying tourists to rent out your unit while in Miami. There are advantages to not living in a condo/hotel and instead using a third-party to arrange for short term rentals at a cut of the rental revenue. This increasing interest on behalf of condo owners for transient rental occupancy is another indicator of the condo glut effect, but also of an easement in the long term rental market (as many unit owners are buying time by putting their units out to rent). Prior to engaging in such activities, an owner must check with the condo association first. The condominium documents may have restrictions on transient occupancy and regardless these occupants will usually require association screening. 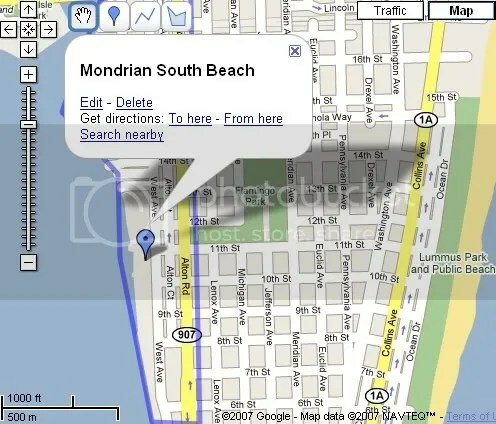 Google Maps Street View Active for Miami! This means that you can, by using the Street View feature on Google Maps, immerse yourself in the city. Props to Chris Mora for catching it. For now, Street View is available only for Miami, San Francisco, Las Vegas, Denver, and New York City. The feature is mind blowing. Do yourself the favor and check it out. I’m a big fan of Google Earth. It’s user-friendly, has great terrain, roads, and 3-D building features, etc. However, the Bird Eye view function for Microsoft’s Virtual Earth has me feeling pretty excited. 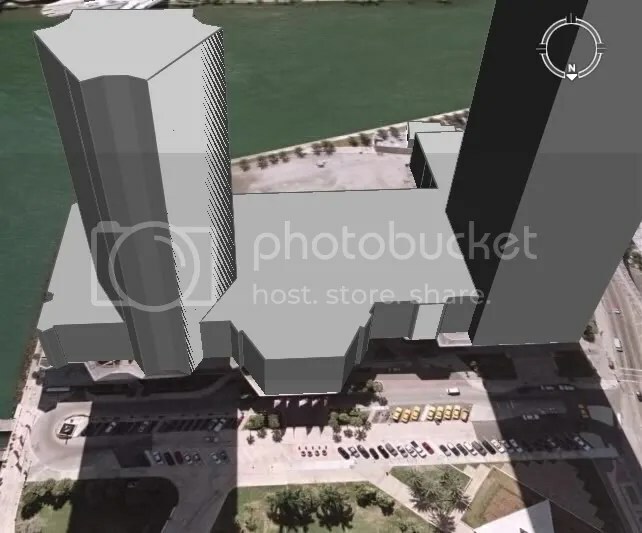 It allows the user to view actual buildings, in 2-D, from different angles. Google Earth does not have this capability. Microsoft’s Virtual Earth allows the user to zoom in unnecessarily close and has much more updated and better image quality than Google Earth. However, the zooming out capability is limited and one is left staring at a few buildings at a time instead of a full panorama. Google is releasing version 4 which is likely to have some eye-popping features. In other news, Google is implementing a new feature to Google Maps: StreetView. 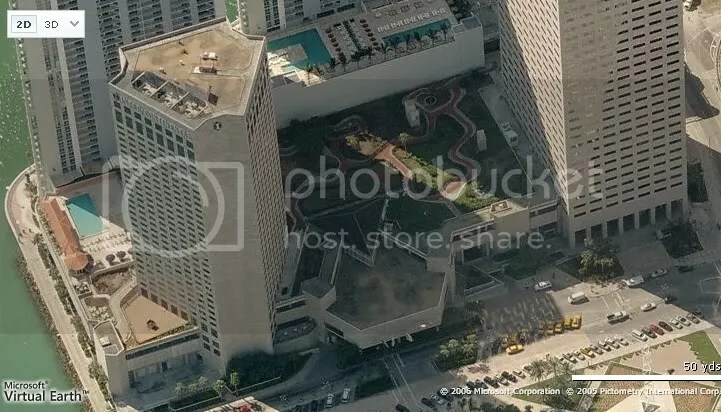 Miami will be included in Street View in the coming months. 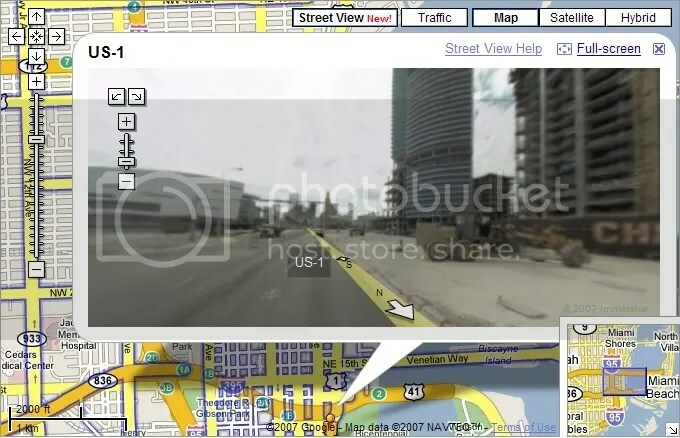 This feature will enable the user to have a first-person street view of the city of their choice. Microsoft has already moved in the same direction with their own (limited release) version of the same feature. 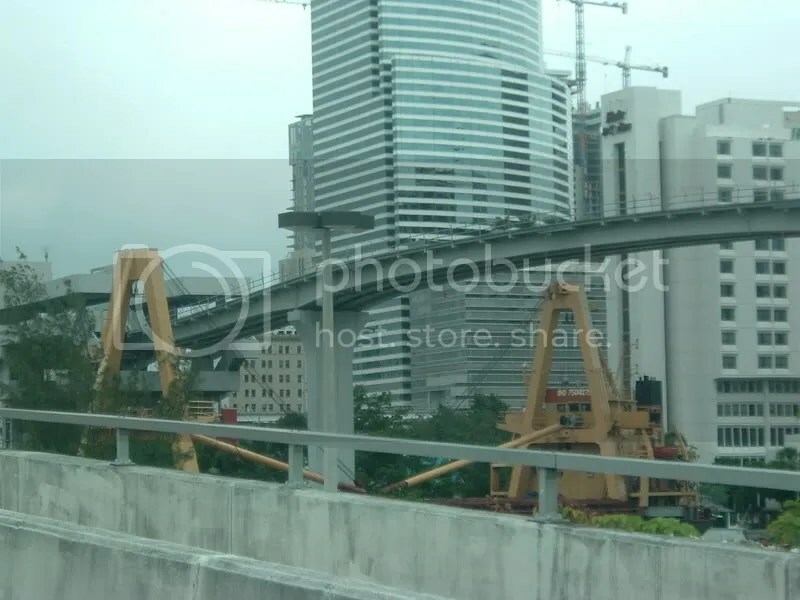 Here we have a cargo ship routinely passing under the Metro-mover bridge. While waiting for the ship to pass, I couldn’t help but notice that it barely cleared the bridge–by like 10 feet or so. I know the river dredging project is going to allow cargo ship capacity to increase, but definitely not the size of the ships. This one just barely made it through. A NY Times article reports that real estate attoryneys in South Florida are busy analyzing condo contracts for the purpose of releasing buyers from them. According to the report most buyers want their money back but many are even willing to lose hefty deposits to get out of unfavorable deals. The MHP has decreased in Broward from last year. This is mostly attributed to investors who never planned on living in their units. Gregg Covin, of Museum Park, has reported 45 of the project’s 200 units resold before closing. Blue, a Hyperion development, has seen 26% percent of its units resold since occupancy. As expected, flippers are flushing out of the market, but taking the MHP down with them. 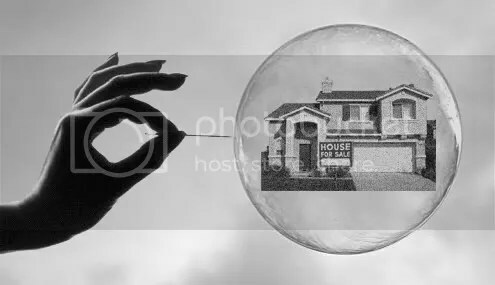 If what real estate consultant Jack McCabe said is true, then up to 70% of buyers may shake out their inventories before all is said and done. 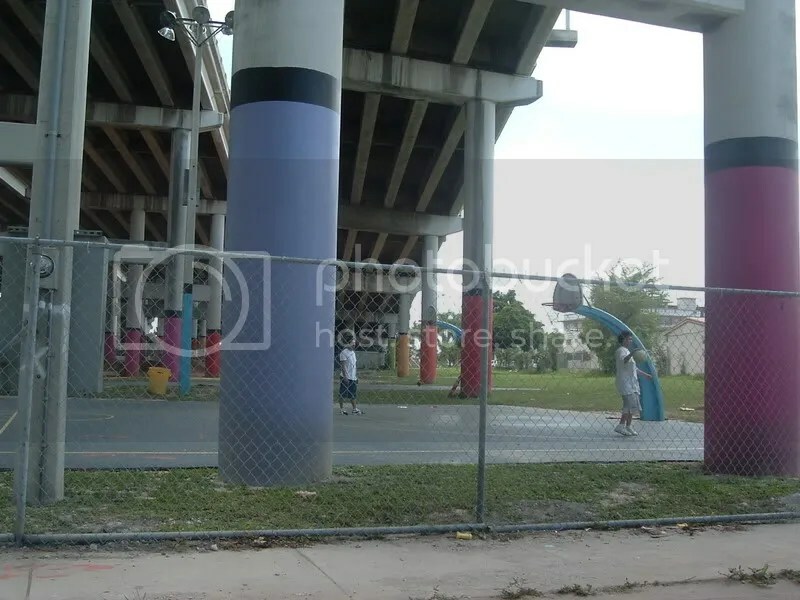 Here you have what would be an eyesore of an overpass that would usually pose a security risk, but instead serves as an ideal place for basketball courts (Jose Marti Park). Here you can play basketball in the hot sun and be in the shade. You can play in the rain and remain somewhat dry. This is the type of ingenuity that benefits the community, takes advantage of public owned land, and stabilizes the surrounding neighborhood. This is not something that can work everywhere but is a positive example to follow. 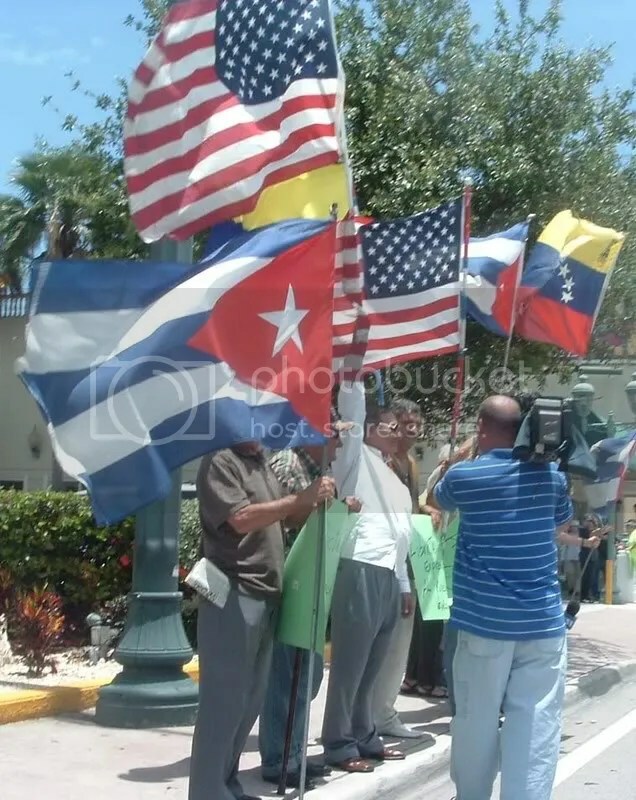 Political events in Latin America often reverberate on Miami’s streets. These people are protesting Venezuelan president Hugo Chavez having shut down a prominent and storied T.V. station. 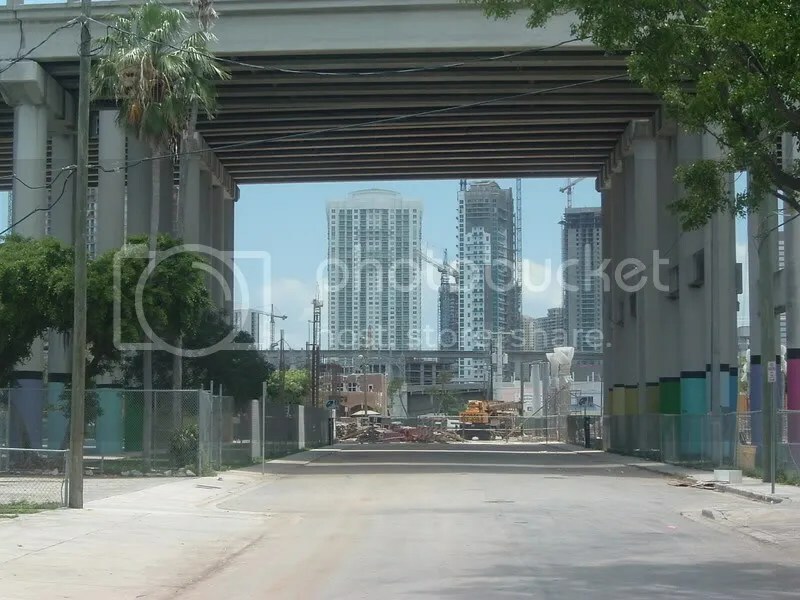 I snapped this shot while on my way to go eat Pan con Bistec in Little Havana. Coral Gables was intended to be a Mediterranean style retreat for the affluent. It was among the first planned communities in the country. 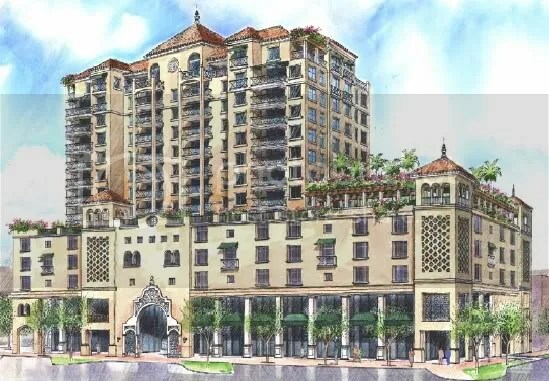 The Merrick family alluded to Spanish architecture, built coral stone columns, fountains, the Biltmore Hotel in the style Seville’s Giralda tower, named streets after palaces and cities in Spain, and did it all to bring old world elegance and culture to their newly planned “City Beautiful”. George Merrick had a vision, but like most great visionaries his dream outlasted his life. With Merrick long since gone, others have carried his torch, but none of them more preeminently than Fullerton Diaz Architects. 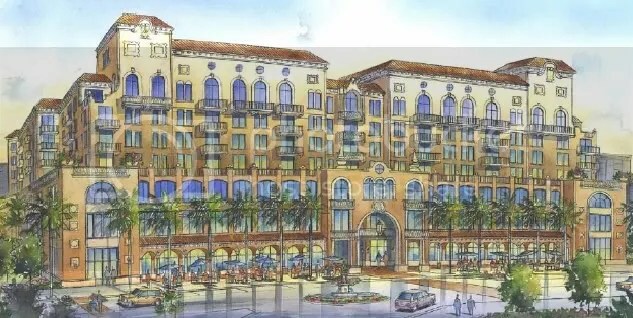 Today, Coral Gables has evolved into a sprawling community with a thriving international business district. 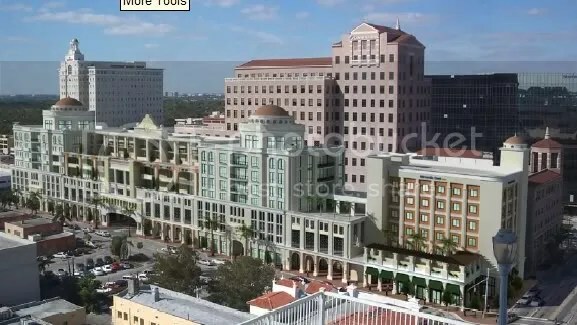 The Gables CBD is unique in the sense that it is an offshoot of the Merrick Mediterranean architectural vision, but unlike a typical CBD, is composed mostly of mid rises. In the Gables, one can see newly built complexes with old world elegance. The Gables CBD is an architectural showcase in this respect, but Fullerton Diaz steals the show.